One of the most important steps you can take toward achieving your greatest potential in life is to learn to monitor your attitude and its impact on your work performance, relationships and everyone around you. I generally start my workshops and seminars by asking a fundamental question: What attitude did you bring into this meeting? Often, this brings puzzled looks. In truth, people generally don’t have a high level of attitude awareness. They’ll know if they are hungry or if their feet hurt, but they usually don’t have a good handle on their attitude. That is a mistake because attitude is everything. It governs the way you perceive the world and the way the world perceives you. We all have a choice. We can choose an inner dialogue of self-encouragement and self-motivation, or we can choose one of self-defeat and self-pity. It’s a power we all have. Each of us encounters hard times, work performance, heartache, and physical and emotional pain. The key is to realize it’s not what happens to you that matters; it’s how you choose to respond. Your mind is a computer that can be programmed. You can choose whether the software installed is productive or unproductive. Your inner dialogue is the software that programs your attitude, which determines how you present yourself to the world around you. You have control over the programming. Whatever you put into it is reflected in what comes out. Many of us have behavior patterns today that were programmed into our brains at a very tender age. The information that was recorded by our brains could have been completely inaccurate or cruel. The sad reality of life is that we will continue to hear negative information, but we don’t have to program it into our brains. The loudest and most influential voice you hear is your own inner voice, your selfcritic. It can work for or against you, depending on the messages you allow. It can be optimistic or pessimistic. It can wear you down or cheer you on. You control the sender and the receiver, but only if you consciously take responsibility for and control over your inner conversation. Habitual bad attitudes are often the product of past experiences and events. Common causes include low self-esteem, stress, fear, resentment, anger and an inability to handle change. It takes serious work to examine the roots of a harmful attitude, but the rewards of ridding ourselves of this heavy baggage can last a lifetime.
. You send a positive response to your subconscious, which accepts whatever you tell it. When done properly, this triggers positive feelings that, in turn, drive action. Discover what motivates you—what incites you to take action to change your life. Basic motives include love, self-preservation, anger, financial gain and fear. Self-motivation requires enthusiasm, a positive outlook, a positive physiology (walk faster, smile, sit up), and a belief in yourself and your God-given potential. Studies of the psychology of peak performance have found that most great athletes, surgeons, engineers and artists use affirmations and visualizations either consciously or subconsciously to enhance and focus their skills. Nelson Mandela has written extensively on how visualization helped him maintain a positive attitude while being imprisoned for 27 years. “I thought continually of the day when I would walk free. I fantasized about what I would like to do,” he wrote in his autobiography. Visualization works well to improve attitude. Attitude talk is a way to override your past negative programming by erasing or replacing it with a conscious, positive internal voice that helps you face new directions. Your internal conversation—that little voice you listen to all day long—acts like a seed in that it programs your brain and affects your behavior. Take a closer look at what you are saying to yourself. Once released to the universe, our words cannot be taken back. Learn the concept of WOW—watch our words. What we speak reflects what is already in our hearts based upon all the things we have come to believe about ourselves. If we find ourselves speaking judgmental and disparaging things about our circumstances or those around us, we know the condition of our hearts needs to change. You can create a direct path to success by what you say. When people ask me how I am doing, I say, “Super-fantastic.” Most people enjoy working and living with others who try to live life for what it is—a beautiful gift. Enthusiasm is to attitude what breathing is to life. Enthusiasm enables you to apply your gifts more effectively. It’s the burning desire that communicates commitment, determination and spirit. Enthusiasm means putting yourself in motion. It’s an internal spirit that speaks through your actions from your commitment and your belief in what you are doing. It is one of the most empowering and attractive characteristics you can have. The ultimate level of human need extends into the spiritual realm. Just as we feed our bodies in response to our primary need to survive physically, we need to feed our spirit because we are spiritual beings. Many people find powerful and positive motivation in their faith. I happen to be one of them. Humor is a powerful motivator. The more humor and laughter in your life, the less stress you’ll have, which means more positive energy to help you put your attitude into action. There are also health benefits to lightening up. One of the best ways to move to a more positive and motivated frame of mind is to exercise. A regular exercise routine can provide relatively quick positive feedback in the form of weight loss, muscle development and a sense of doing something positive for yourself. Seek your personal and professional success by using the tools in this attitude tool kit. It is no secret that life seems to reward us most when we approach the world with a positive attitude. Honestly one of the most brilliant and expressive songs I’ve ever heard. Her voice is absolutely mesmerizing, sultry, husky, sensual but also powerful, you can feel that she’s truly yearning for her lost love. You really have to look inside yourself and find your own inner strength, and say, ‘I’m proud of what I am and who I am, and I’m just going to be myself. Eyes Of The Scarlet Rose – “Should you see the light of your future, within the shadows of your present, The resilience of life dancing over vast deserts of death, Witness if you so shall, the majesty of Creation. The contentedness of All was and always will be. What rich man is making fun by here? 7. “Most successful people reflect daily. It gives our brain a chance to pause the chaos with conscious thought of our previous actions and to hopefully derive meaning/learning from those moments! But only if you’re honest with yourself! 14.”Being in the military taught me to risk it all early and to risk it all often. 27. “As an entrepreneurs, you have a fire burning inside your belly, a vision and a dream that you will do anything and everything in your power to bring to life. Aretha Franklin, the great American singer who became a defining voice of the 20th century and the acclaimed Queen of Soul, died at her home in Detroit on Thursday from pancreatic cancer, her publicist said. She was 76. “We have been deeply touched by the incredible outpouring of love and support we have received from close friends, supporters and fans all around the world. Thank you for your compassion and prayers. We have felt your love for Aretha and it brings us comfort to know that her legacy will live on,” Franklin’s family said in a statement. 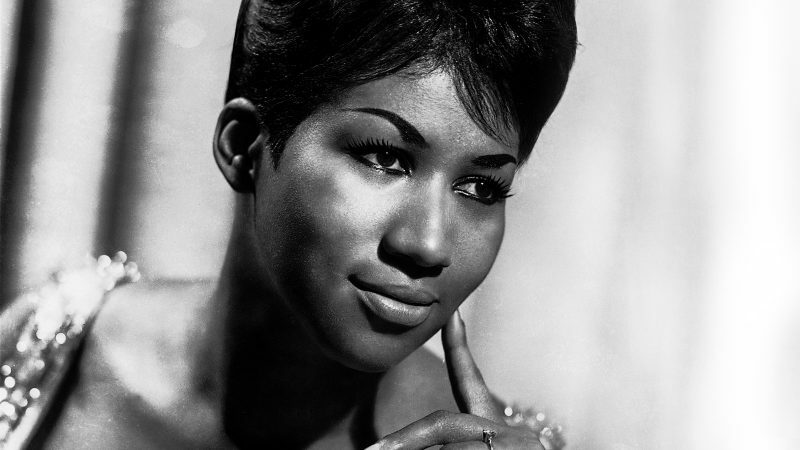 A preacher’s daughter, Franklin began her career as a teenager in the 1950s, and her inimitable voice allowed her to hop between gospel, R&B, classical and jazz genres with grace. She went on to win 18 Grammy Awards, sell more than 75 million records in her life, and become one of the best-selling selling artists of all time. But out of all the songs she recorded, “Respect,” her demand for dignity, became her signature song that is still played in living rooms and at political protests today. The story of how Franklin took a song originally written and released by Otis Redding and made it her own can be career inspiration for us all. When Franklin recorded “Respect” on Valentine’s Day in 1967, she kept most of the original lyrics but transformed the meaning of the song with the addition of a bridge and the call-and-response of her sisters. Under Franklin’s version, “Respect” became more than a domestic dispute. It became an empowering feminist anthem for women to be treated equally at home and at work. I have a love song in my heart and its lyrics are a serenade dedicated to you. Dedicated: You are the most beautiful love song, the most beautiful music ever created, the most beautiful person in this world. Dedicated to My Dad- I Love You and Miss You So Much! 4 Comments Dedicated to My Dad- I Love You and Miss You So Much! What do the tracks do? Picking songs for an album is an art form in itself..I tell ya! However, I loved all the songs that were recorded and it was so hard to leave some off. There’s some really special songs in there and I hope you enjoy them! My family is everything. I am what I am thanks to my mother, my father, my brother, my sister… because they have given me everything. The education I have is thanks to them. You are the food to my soul, yes you are.